Contributing editor Gabe Ets-Hokin hops aboard the 2013 BMW C 650 GT and C 600 Sport for a ride around the hills of Southern California. Check it out in the 2013 BMW C650 GT and C600 Sport First Ride Video. If BMW—a brand always associated with high-end, performance-oriented premium cars and motorcycles—were to build a scooter, what would it be like? Well, it wouldn’t be the cheapest on the market, that’s a safe guess. But you could also safely assume it would be technologically advanced, have lots of luxury-oriented features, be incredibly refined and engineered and be fast enough to hold its own in any sort of paved environment. And you’d be right. I was so intrigued about BMW’s new scooters that I put in a 19-hour day flying down to LAX, riding the C 600 Sport and C 650 GT in the Malibu mountains and then riding one 400 miles home to Oakland in the dead of a cold winter night just for the opportunity to ride one. And off the top of my head, I can’t think of a better scooter—or motorcycle—to have done it on. We all got a pretty detailed tech briefing of the two scoots from Bryan Harley, but BMW North America had us sit down to listen to Product Manager Sergio Carvajal tell us a little more about how and why BMW brought these bikes to market. 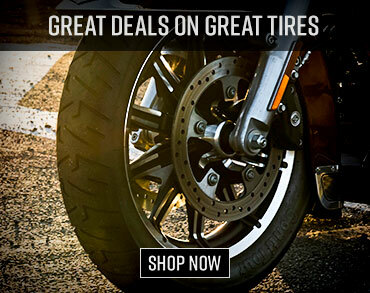 Wide bars and 15-inch radial tires offer responsive and predictable steering. The BMW automotive group—with Rolls Royce, Mini, BMW and Husqvarna included—sees BMW Motorrad as the “center of competence for mobility concepts,” expected to spearhead the push to merge (or maybe just blur) the gap between cars and single-track vehicles, combining the best features of both. BMW’s new “Urban Mobility” line—a new product grouping buttressing Sport, Touring, Enduro and other lines—will add more new models in the future. But why scooters? Well, Carvajal says, they’re fun, they’re cute, they’re non-threatening, easy to park, easy to ride and convey a feeling of freedom to users and onlookers alike. Onlookers who may turn into buyers. BMW’s market research indicates there’s strong interest in its scooters. New riders, BMW-loyal customers who may be looking to replace or supplement a heavier, bigger machine, returning riders looking for something friendlier to come back to riding with, small scooter riders looking to move up to a faster bike, and the ever-desirable ‘conquest,’ motorcycle and scooter owners from other brands looking for a premium product. And there’s no doubt this is a premium product. The motor is a 649cc liquid-cooled, counterbalanced DOHC Twin that Carvajal says offers “best in class” performance: 60 horsepower at the crank. That’s good for a 0-40 time of four seconds, and a 109-mph top speed, BMW claims. It’s not just powerful, it’s compact and easy to service, with the drive chain running in an enclosed oil bath. The CVT transmission means it’s a twist-n-go, but it’s tuned to maintain constant rpm between 30-70 mph for maximum efficiency and response. ImBoth the C 600 Sport and C 650 GT have some heft, but the low placement of the engine and gas tank make maneuvering much easier. The chassis is straight forward but up to the task. It’s a tube-steel bridge-type frame, with the motor mounted solidly to aid rigidity. The front end is a sturdy-looking 40mm inverted fork with dual triple clamps. In back, the cast-alloy single-sided swingarm is suspended by a laydown monoshock, adjustable for preload. Standard ABS beefs up the dual two-piston calipers and 270mm front discs; another 270mm disc is in back. The cast wheels mount 15-inch radial tires, a 120-section in front and wide 160-section in back. Wheelbase is a lengthy 62.6 inches. That’s where the two models diverge. The C 600 Sport has a more aggressive riding position, the trunk, fairing and windscreen are smaller and it’s 26 pounds lighter than the 575 pound (claimed wet weight) C 650 GT. The GT gets a bigger fairing with power-adjustable windscreen and a massive 60-liter-capacity trunk. The Sport’s trunk is smaller, but has a “Flexcase” bottom that swings out to give it more capacity when the bike is parked. Why is the Sport called a 600 when both models actually share the same 649 mill? “Why don’t you go ask the Germans?” responded Carvajal, and after the laughs died down, he explained that there was a plan to give the 600 an actual 600cc powerplant, to further differentiate the two bikes as well as to connote the Sport with 600cc sportbikes. But then Yamaha upgraded the Euro-model TMAX, so both rides got the same mill so the Sport could stay in front. Why the designation wasn’t changed to 650 will probably remain one of life’s mysteries, but we all have more important things to worry about, don’t we? GT is touring-oriented, gets a larger fairing, trunk, seat and windscreen. 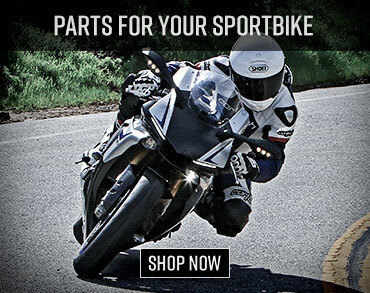 Sport has a more aggressive riding position, smaller fairing with sharper styling. Tech brief was ended, so it was time to start my 460-mile day. The first 30 miles would wind through Santa Monica, Venice Beach and then the Coast Highway to Malibu, the kind of crowded, stop-and-go traffic where scooters thrive. Hopping aboard my bronze 650 GT test unit sat me on a very comfortable, if gigantic ride. A large tunnel makes it a little harder to mount than a scooter, but still much easier than a motorcycle. Hoisting it upright, I notice its heft, but since it’s a scooter, with the motor and gas tank down low, it’s very manageable. Around town, it’s more maneuverable than a car, even a tiny one, but you won’t mistake it for something smaller. Both these machines are ocean-going yachts compared to the nimble cigarette boats that are the 200cc and smaller scoots, discouraging the wanton antics I usually engage in around town. There’s no doubt you’re on a big, powerful vehicle that demands reserve and respect. The clutch doesn’t engage until 2200 rpm and the gearing is for the Autobahn, so it’s not as quick off the line as I expected, though nobody will call it ‘slow’ around town. The brakes are very good, especially if you use both front and rear, and the ABS is very useful, limiting rear-wheel skids and ensuring a quick, safe stop on all kinds of pavement. The suspension works well soaking up bumps, helped by the motor being mounted amidships and not on the single-sided swingarm as it is with most scooters—that huge powerplant would be a lot of unsprung mass otherwise. Wheeling around town is fine, but it’s not in its element. The winding mountain roads above Malibu show off both the Sport and GT’s capabilities. Steering is very good with the wide bars, radial tires and well-engineered steering geometry. The Sport has the edge in the fun-to-ride category—the smaller bodywork and lower bars make it feel smaller and more manageable than the GT—but both scoots are good in the twisty bits. Both models offered up more cornering clearance than I dared use, and the motor is great too—responsive and nicely fuelled, it deliverers plenty of oomph to pass plodding cars with ease, even uphill at a good clip. This is a fast scooter by any metric, with as much power as you’d need for touring, even laden with a passenger and luggage to the 406-pound load limit on the GT (or 432, surprisingly, for the Sport). The 650 GT has a host of amenities to allow for comfortable touring. That’s right: touring. The GT is a very good tourer. Sixty liters of stowage (illuminated with an LCD lamp), plus two locking glove boxes (the left one has a handy12-volt outlet tucked inside) rivals some sport-tourers I could name. 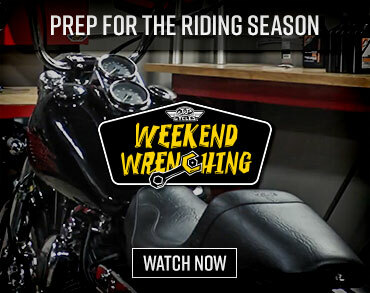 The seats on both bikes are not just broad, supportive and nicely padded, they’re heated with the so-called optional High-Line package that includes heated seats, grips and tire-pressure monitor. I say so-called because it’ll be hard to find these bikes without the $605 package; 98 or 99 percent of the bikes shipped will have it, Carvajal told us. The windscreen on the GT was very good: optically correct and sturdy, it sent the wind quietly over my helmet, and at five-foot-seven my vision was just below the top of the screen. Accessory screens are available, as is a big top case, performance Akrapovic exhaust and other goodies. After 350 miles on long, straight, cow flop-redolent I-5 I was bored, cold and sleepy, but otherwise comfortable. The seat and long floorboards allow the rider to adjust positions to alleviate sore butts and the bars put your hands and shoulders in a good posture. The backrest is three-position adjustable to give the tall folk more room, and the grip and seat heaters have ‘auto’ settings that keep your palms and back-end just the right temperature (luckily, I was able to wire up my Powerlet heated gear to keep my other important bits warm as well). My only touring complaint was range. Carvajel told us the bike returns 53 mpg—but that’s at 56 mph and who rides that slow? Not me. At a steady 75 indicated, I burned about 37 mpg and wasn’t able to put more than 150 miles on one of three tripmeters before the low-fuel warning flashed. BMW claims a 200-mile range for the 4.2-gallon tank: I don’t have the patience or wrist control to do that. The BMW C 650 GT starts at just over $400 dollars more than the C 600 Sport. This is the part of the show where we tell you how much it costs and how much we liked it. The GT is $9990 and the Sport is $9590—add $605 for the Highline package. Not cheap, but priced right around other mega-scoots like the Burgman Exec ($9899, 2012 model) or the Honda Silverwing ($9270, 2012 model). You get a lot of features for that 10 large, with a very powerful engine and really good handling wrapped up in a touring-oriented package that will be a very good choice for someone looking for a long-distance capable ride that’s just somehow easier in every way than a traditional motorcycle. And for you nay-sayers who are doubting BMW”s success in the scooter—ahem, urban mobility—market, Carvajal tells us BMW dealers have been selling the bikes since the end of the summer and they’re moving out the door as fast as they can order them. What will a BMW scooter be like? I think more people than you’d expect will be finding out that answer first hand—sooner rather than later.